ENGlobal Corp. (ENG) emphasizes quality and safety to deliver innovative, energy-related automation integration services and EPCM projects for clients worldwide. 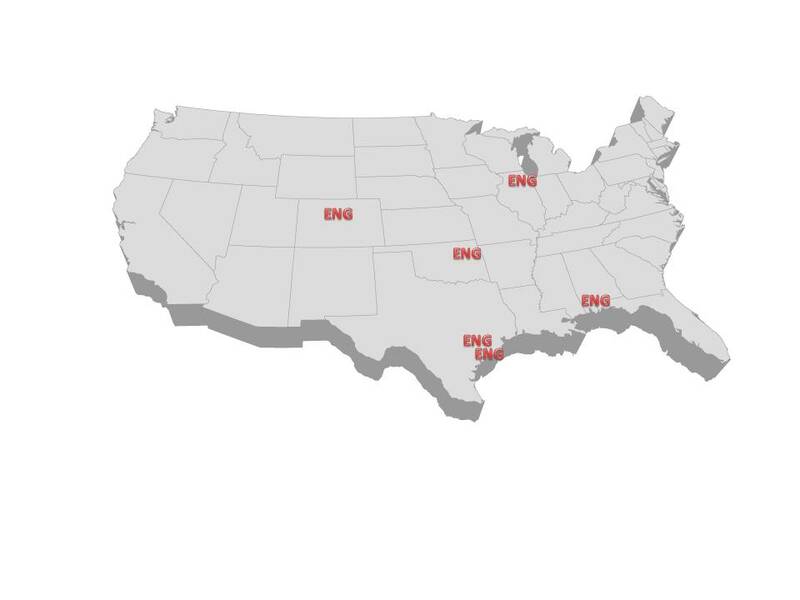 Operating through two strategic business segments, ENGlobal provides its services to the energy, pulp and paper, and government sectors throughout the United States and internationally. ENGlobal's Automation segment provides a wide range of services related to the design, fabrication and implementation of distributed control, instrumentation and process analytical systems. Products and services supporting the environmental technology fields are also offered by the Automation segment. The Engineering (EPCM) segment provides consulting services for the development, management and execution of projects requiring professional engineering, construction management, and related support services. Within the Engineering segment, ENGlobal's Government Services group provides engineering, design, installation and operation and maintenance of various government, public sector and international facilities, and specializes in the turnkey installation and maintenance of automation and instrumentation systems for the U.S. defense industry worldwide. Additionally, ENGlobal’s Subsea Controls and Integration (SCI) group provides advanced process automation design, engineering service and equipment for the effective integration of communication protocols between topsides production facilities and subsea devices. The SCI team was initiated when a major global E&P company set out to standardize the subsea process control environment. In 2008, ENGlobal’s SCI group was commissioned to further develop the concept commencing with a detailed design. Working together, they defined a long-term vision and commercialization plan for a now patented Universal Master Control Station (UMCS) that could communicate to virtually any subsea equipment. ENGlobal’s Engineering & Construction Group delivers advanced and economical automation, instrumentation and specialty construction projects for its growing base of global customers. The company’s services range from feasibility studies and conceptual design to turnkey project responsibility, including project financing. ENGlobal’s strong growth, project management experience and history of providing quality engineering resulted in the firm being ranked by Engineering News Record magazine as a Top 500 engineering design firm for more than 10 years. ENGlobal has also received accolades from Business Week magazine, the Houston Chronicle newspaper and American Executive magazine. The ENGlobal team combines years of automation expertise and broad industry experience to deliver a complete range of fully integrated process, power and control solutions for projects worldwide. Systems fabrication, programming, assembly, testing and documentation are all done in-house to ensure reliable solutions every time. ENGlobal offers a complete range of Analytical Automation Integration services that typically involve the engineering/design, fabrication and installation of new analyzer systems, sampling systems, shelters and associated instrumentation and equipment. 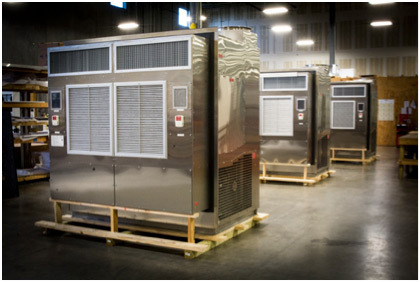 ENGlobal offers a complete range of field-proven industrial cooling and heating solutions designed, assembled and tested in the company’s 80,000-square-foot facility in Houston. Each unit is specifically designed and built from the ground up to meet or exceed all application requirements. ENGlobal’s services in the hydrocarbon transportation and distribution arena range from conceptual engineering and feasibility studies to detailed design, permitting, construction and project management. The company has become a widely recognized industry leader in the design of transportation and distribution facilities for liquid, gas and chemicals. ENGlobal Power Islands feature unique combination of proven equipment that is pre-packaged to provide a complete, portable and easily transportable power generating system. They are used to supply power to remote oil and gas fields, pipelines, offshore platforms and rigs as well as a host of industrial applications. ENGlobal provides complete process control integration services for a wide range of applications and industries. From design concept through engineered drawing package development, complete integration and fabrication, these high-quality systems consistently meet or exceed customer requirements at a cost-effective price point. ENGlobal is one of the world’s leading suppliers of modular enclosures for process instruments and controls. The company has built a reputation for providing responsive, reliable and professional service and has developed long-standing relationships with upstream drilling rig manufacturers for the supply of modular, highly ruggedized Drilling Rig Control Cabins. 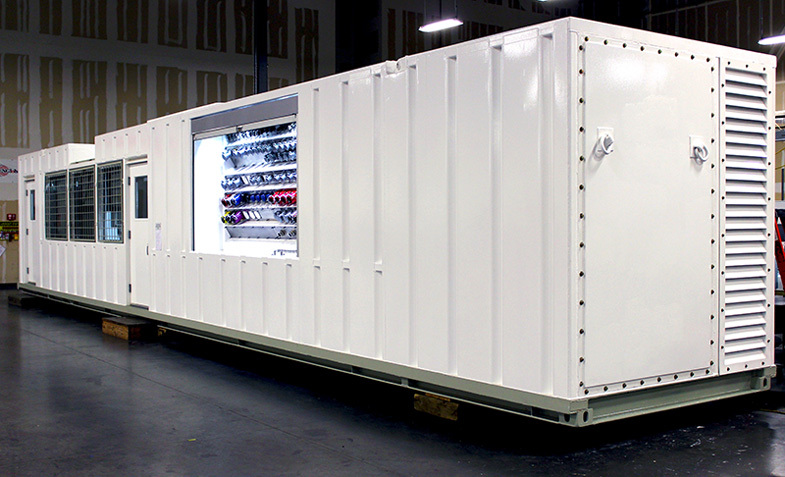 ENGlobal’s experience, combined with a comprehensive range of design, integration, fabrication and testing tools, enables the company to provide just-in-time delivery of control cabins. General services include the project management, construction management and construction coordination of automation projects. These projects would include DCS migrations, plant re-instrumentations and expansions, and grass roots instrument, electrical and control system installation. Other automation services include loop check, commissioning and start-up support of process control, power distribution and generation, analytical and EPA regulated systems, system verification and documentation of an existing control. ENGlobal’s automation staff has the experience and knowledge to provide various services for a wide range of automation and control system applications. These services include most any task associated with automation and control systems. ENGlobal offers design services including Instrument and Electrical design packages focusing on automation and control system project deliverables. These packages can be "from scratch" or concept development or can be created from existing customer documentation that is verified, modified with updates, additions and deletions, and then checked for accuracy. ENGlobal’s Automation Segment has a wide variety of experience with integrating control, monitoring and general automation systems. Control system integration involves linking multiple vendor control systems and monitoring equipment with the standard control system. These tasks require in-depth knowledge of multiple vendor systems and involve specifying hardware, software and protocols. They key to a successful migration is the ability of the engineering staff to “decode” the obsolete platform and then “re-code” the configuration in the new platform. This requires a staff that has in depth experience with both platforms. ENGlobal’s automation segment has completed many successful control system migrations, including vendor-sponsored solutions, cross vendor solutions and “rip and replace” solutions. ENGlobal’s staff includes control system engineers with experience with all major DCS vendors’ hardware and software. ENGlobal’s staff of control systems engineers has extensive experience in process control configuration and programming and has implemented dozens of process control projects on many different control system platforms. These projects range from simple continuous and discrete control implementation to complex batch control systems and advanced process control applications. ENGlobal control system engineers have broad experience with Safety Instrumented Systems as well. ENGlobal’s Subsea Controls and Integration (SCI) group provides advanced process automation design, engineering service and equipment for the effective integration of communication protocols between topsides production facilities and subsea devices. The SCI team began when a major global E&P company set out to standardize the subsea process control environment. In 2008 ENGlobal Subsea Controls and Integration was commissioned to further develop the concept commencing with a detailed design. Working together, they defined a long-term vision and commercialization plan for a Universal Master Control Station (UMCS) that could communicate to virtually any subsea equipment - regardless of the supplier(s). Utilizes an open architecture communication interface which allows the unit to interface to any subsea vendor’s equipment. The ENGlobal safety culture encompasses the commitment of its employees to a standard of excellence in all of its activities with regard to health, safety and the environment (HSE). The company’s policies and procedures are designed to enhance this culture where each employee accepts responsibility for their own personal safety, as well as the safety of their coworkers. Evidence of this excellence shows in ENGlobal’s three-year average of Total Recordable Incident Rate (TRIR) at 0.21 and workman’s compensation modifier currently listed as 0.53. Over the past decade ENGlobal has won numerous awards; most recently the company has won numerous safety awards for exhibiting such safety leadership and outstanding safety performance from major petrochemical and chemical companies as well as local industrial organizations. VPP (Voluntary Protection Program) Stars among Stars Program awarded ENGlobal with the “Star of Excellence” Award. This level of qualification is achieved by sites with their Total Case Incidence Rate (TCIR) and Days Away/Restricted/Transferred Case Incidence Rate (DART) both at least 90% below the BLS (Bureau of Labor Statistics) national industry averages. 1699 E. Woodfield Rd., Suite 502? 2448 East 81st Street, Suite 3300? In its 29 years of operations, ENGlobal has created a global workforce of more than 400 industry leaders in a variety of fields, ranging from drafters and designers to technical specialists. The company’s highly experienced core leadership team has established a solid financial foundation and proven ability to consistently grow company revenues and value. William “Bill” Coskey was named president and chief executive officer in August 2012 and has served as chairman of the board since June 2005. Coskey founded ENGlobal in 1985 and most recently served as president and chief executive officer from April 2007 to May 2010. An honors graduate of Texas A&M University, Coskey received a Bachelor of Science in Electrical Engineering in 1975. He has served on the Texas A&M University Electrical Engineering Department Advisory Council since 1999 and as chairman of the council since 2006. Scott Curd joined ENGlobal as a human resources manager in November 2011 and was appointed human resources director in November 2012. Curd brings 30 years of Human Resources experience to ENGlobal. He has managed HR operations ranging from $50 million to $6.8 billion in both domestic and international locations, including the Middle East and Iraq. Prior to joining ENGlobal, Curd spent 14 years with KBR as senior human resources manager and was director of HR for CDI Engineering and Audubon Engineering. Curd is a graduate from Sam Houston State University with a degree in business management. Since joining ENGlobal in 2009, Mike Harrison has served in a variety of business development and operational capacities. He has more than 25 years of business development experience within the engineering and construction industries. Harrison chaired the Annual Conference for the Rice University Global Forum for Engineering & Construction in 2012 and 2013 and he remains on the board of directors for this organization. He was previously vice president of business development for Commonwealth Engineering and Construction, LLC from 2006 to 2009. Prior to his tenure at Commonwealth, he worked for Jacobs Engineering from 1996 to 2005 in progressively higher levels of business development responsibility in Houston and Baton Rouge. Harrison has a BBA from Stephen F. Austin State University and continuing technical education at the University of Oklahoma. Mark Hess has served as chief financial officer since September 2012. Hess served as ENGlobal’s corporate controller from July 2011 to September 2012. Hess is a CPA, holds a Bachelor of Business Administration in Accounting from the University of Houston and is an active member of Financial Executives International (FEI). Tami Walker has served as ENGlobal’s corporate vice president and general counsel since April 2011. Walker has more than 20 years of legal experience in various industries including oil and gas, transportation, telecommunications and wind power generation. Most recently, January 2008 to April 2011, Walker served as general counsel-development for E.ON Climate & Renewables North America. Walker also served as vice president and associate general counsel for Level 3 Communications and its predecessor Broadwing Communications from 2005 to 2007 and as senior corporate counsel from 1999-2005. She has also provided in-house legal support in various capacities to Wayport, TXDOT, Natural Gas Clearinghouse (now Dynegy) and United Gas Pipe Line Company (now Koch Industries). Walker holds a Bachelor of Science in Accounting from Southwestern Oklahoma State University and a JD from The University of Texas. Bruce Williams was appointed chief operating officer in September 2013. Williams previously served as senior vice president, Midwest/Southwest Operations of ENGlobal’s Engineering and Construction segment from September 2012 to September 2013. He joined ENGlobal in 2004 and has over 35 years of domestic and international experience in engineering and project management. Williams has an undergraduate degree in chemistry from the University of Northern Iowa, with post-graduate studies in Environmental Management from the University of Houston and MBA studies at Incarnate Word University.